The Champion for Children Foundation is a United Way non-profit agency that manages gifts from private citizens to help create timely solutions for the problems facing youth in Highlands County, Florida. 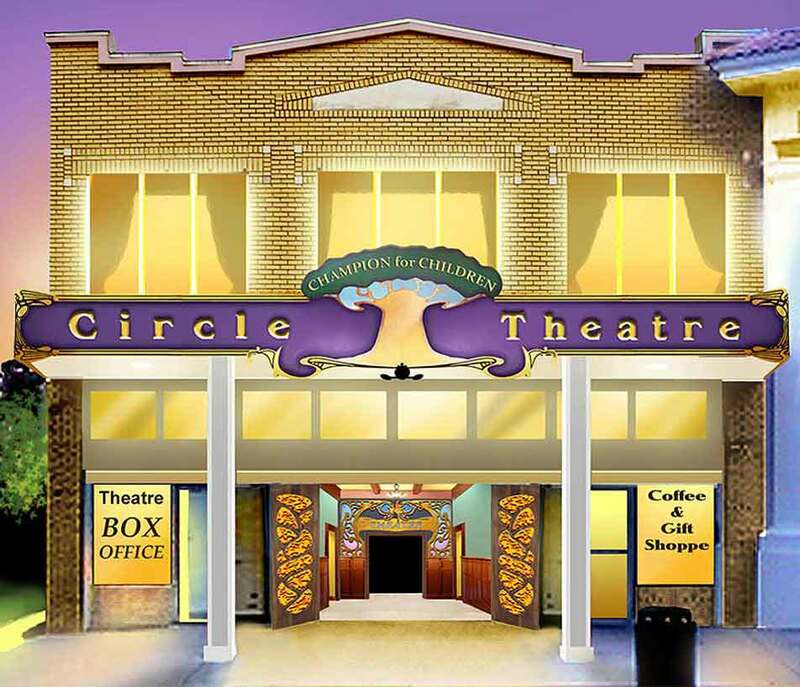 The restoration of the Circle Theatre in Sebring, FL, is one of the agency’s many ongoing initiatives. Once completed, the theatre will be used to assist local families by providing a creative, wholesome outlet for entertainment, including art classes, after school programs, and music lessons for children. To enhance sustainability, the theatre will also house several tenants, and be available for special events and other rental opportunities. When Kati Pippin, the Executive Assistant at Champion for Children called us, she was looking for some crowd control equipment to enhance the grand opening at the theatre. Scheduled for June 27, 2013, Kati is expecting quite a crowd from the local community, and this project means a lot, not only to those at Champion for Children, but for the families in Highlands county as well. She told us the front door is currently outfitted with a red carpet, so we knew red ropes would complement the area. 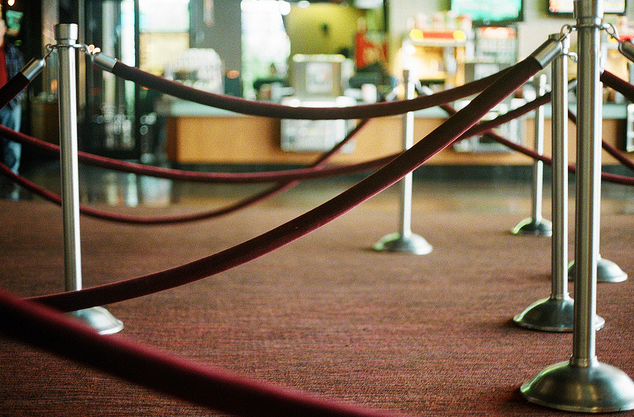 We set her up with eight brass top posts and four 6-foot draping velvet ropes. This equipment will remain at the theatre after the grand opening, used to enhance the entrance during special events such as weddings, corporate luncheons, and seminars. Pippin told us that they’ll be using the equipment for control purposes as well. Whether it’s used for blocking off an entrance, or directing traffic from one area to the next, she plans to use the equipment to its full potential. It’s often a bit difficult to get excited about crowd control, but it’s easy when you have clients like Champion for Children. We were so happy to work with them, and we wish them the best of success with the Circle Theatre. It’s a novel idea, and we hope the grand opening is everything they hoped for.